and a few of them arrived at my house yesterday! TORONTO – By popular demand, CLIF® Bar will launch its delicious seasonal flavours, introducing Iced Gingerbread as their latest holiday treat. Made with a nutritious blend of organic rolled oats and wholesome ingredients, CLIF Bar seasonal flavours deliver delicious, holiday-inspired nutrition on-the-go. To spread the spirit of giving, CLIF Bar will also donate a portion of the proceeds toProtect Our Winters, a leading climate advocacy group for the winter sports community. Through this partnership, CLIF Bar will donate one percent of net seasonal sales to Protect Our Winters, which is dedicated to educating, engaging and mobilizing the Canadian and U.S. winter sports community to lead the fight against climate change. Iced Gingerbread and Spiced Pumpkin Pie CLIF Bars are made with wholesome ingredients like organic rolled oats and molasses and are a source of fibre. They also contain a blend of vitamins and minerals. Seasonal flavours are available now in select retailers in Canada while supplies last. Clif Bar & Company is a leading maker of nutritious and organic foods, including CLIF® Bar energy bar, CLIF® Organic Trail Mix, CLIF Kid Zbar® and Builder’s® protein bar. Focused on sports nutrition and snacks for adventure, the family and employee-owned company is committed to sustaining its people, brands, business, community and planet. For more information on Clif Bar & Company, please visit www.clifbar.ca, check out our Facebook page at www.facebook.com/clifbar and follow us on Twitter @clifbar. " 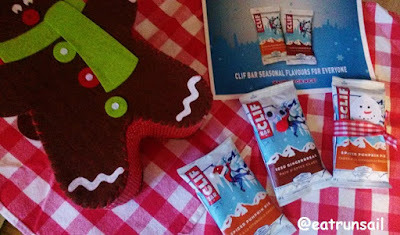 I am a big fan of CLIF BAR products... and am always happy to spread the word about new flavors and items in their lineup. We enjoy them quite often at our house. 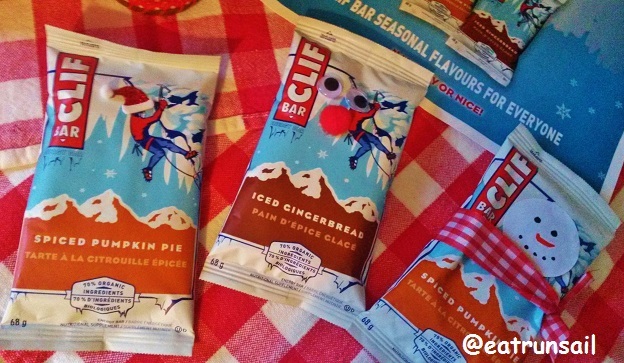 Spiced Pumpkin Pie or Iced Gingergbread... what is your seasonal CLIF BAR favorite? That iced gingerbread is pretty tasty! I love when companies come out with seasonal flavors. Oh yumm these sound really good Elle, I am going to look out for them. I like clif bars. 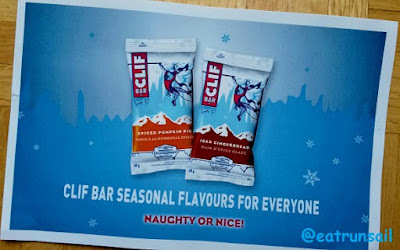 I had no idea there were seasonal Clif bars! I love their regular flavorts but I'm going to need that gingerbread in my life! 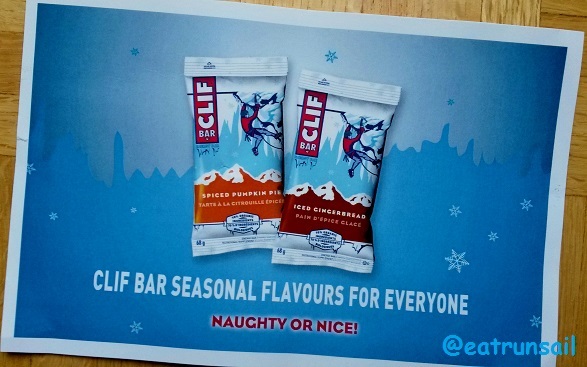 I'm actually not a fan of Clif Bars (or bars in general) but these seasonal flavors sounds good! Oh wow these sound great! I can't say that I've ever had a seasonal Clif Bar before. I'm so deprived. The iced gingerbread sounds amazing! I need to try the spiced pumpkin pie, I tried the pumpkin pie Quest bars and was totally disappointed. I am a huge fan of Iced Gingerbread. That flavor reminds me of eating little iced gingerbread man cookies that we used to get when I was a kid. How awesome to get an early sample! Iced gingerbread sounds awesome! I can't believe it's almost November!! Ahh! I love cliff bars, I can't wait to try gingerbread! I do like the pumpkin one but I am a tad bit pumpkin'ed out (shh don't tell) so I'll be excited to try and find this in a local store. Thanks for sharing. OMG I can't even wait to try this! Cliff bars make my heart so happy. Oh these sound so yummy, I can't wait to try them! Ahhhh! Iced gingerbread sounds so good! :D Can't wait to try it out! oooooh I think we'd love that here.